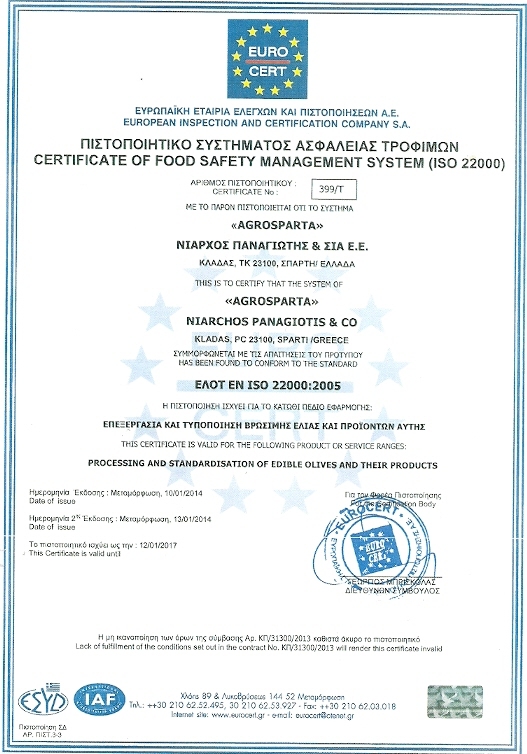 The plant and its facilities are constructed according to ISO 22000 specifications and regulations. Moreover, we have ensured appropriate hygiene conditions through out all processing steps of production using the latest state of the art automatic machinery. 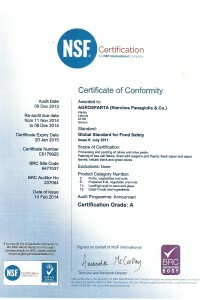 Seeking to offer our customers high quality products through product safety procedures, we have implemented the BRC (British Retail Consortium) standard in our company. 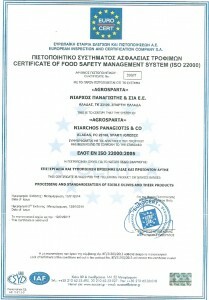 The BRC is a standard used worldwide as a framework for food companies to assist the production of safe food and the selection of reliable suppliers. Following the audit last December, we were granted the highest grade A. The implementation of the BRC Global Standard for Food Safety guarantee the quality and safety of our products. 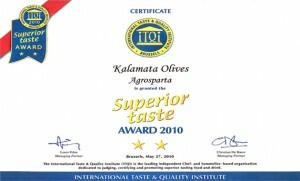 The combination of ideal plant location, knowledge of olive, natural processing methods and use of latest technology of production and packing, awarded Kalamata Olives Agrosparta with the two star ** Superior Taste Award by the International Taste & Quality Institute, making us the first company to gain such recognition for Kalamata Olives.The International Taste & Quality Institute is the leading independent Chef and Sommelier-based organization dedicated to testing and promoting superior tasting food and drink from around the world, with the jury consisting of 120 renowned chefs and sommeliers from 12 of the most famous European culinary and sommeliers associations, such as the Association de la Sommellerie Internationale (ASI). Products are blind tested, without packaging and any other identification.